Weckerly Farms in a sense has been around since the Wells County region was settled, and it has evolved by enduring many changes throughout the years. James (JD) and Esther Weckerly originally lived on a ranch south of Hurdsfield, N.D. They raised three children: Lloyd, Norman and Delores. Lloyd and Norman helped their father on the ranch when they were not in school. Norman served in the U.S. Army from February 1954 to December 1955. After attending college at Baylor University in Texas, Norman and his wife, Mattie Lou, returned to Hurdsfield to ranch full-time. In the meantime, JD and Lloyd had been maintaining the ranch, which included 500 sheep. JD and his two sons continued to ranch together, eventually deciding to switch the operation from sheep to beef cattle. Sometime after that transition, Lloyd and Norman decided to divide the operation with Lloyd continuing the ranching and Norman becoming a grain farmer. From 1958 to 1970, Lloyd and Norman purchased farm and ranch land together. In 1971, the two brothers decided to officially separate their ranch and farming businesses. 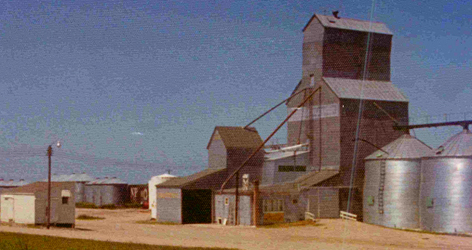 In 1968, Lloyd and Norman purchased the Hurdsfield grain elevator together as a further expansion of their operation. After several years, Norman became a majority owner of the elevator. He installed a commercial grain drying facility and increased the elevator's storage capacity. 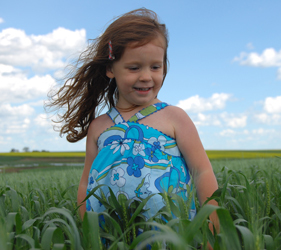 Throughout the years, the elevator has continued to expand and now offers fertilizer and chemical sales, custom spraying, soil testing, other agronomy services and much more. Throughout the next few decades, Norman continued to expand the farm by purchasing land and efficient farm machinery to keep the operation growing and thriving. He also further diversified his farm and elevator businesses by opening the Farm and Family Center in 1976 and beginning to operate commercial trucks in the early 1970s. The Farm and Family Center is located on Main Street in Hurdsfield, just one block from the elevator, and sells grocery and hardware items. Weckerly Farms trucking began in the early 1970s when it became more economical to truck grain to market rather than utilizing the railroad. In the mid-1980s, the trucking operation consisted of four commercial trucks. 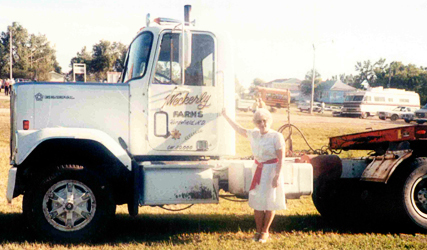 In the following years, the number of Weckerly Farms trucks on the road depended largely on the farm economic conditions and availability of truckers and loads. During the past five years, the commercial trucking business expanded considerably, and in 2008 Weckerly Farms trucking became Freight Solutions, LLC. Freight Solutions now runs ten commercial trucks in addition to offering brokerage services. 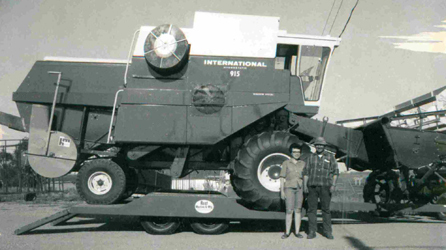 Norman’s son, Terry, joined the operation in 1979 and has been greatly involved in the elevator and farming businesses, taking over management of both entities. Terry’s middle son, Cole, worked in the operation from 2007-2014, and Terry’s oldest son, Chad, returned to the business full-time in 2004. Chad now also manages the farm and elevator in addition to the Freight Solutions trucking company.